Ethereum Review – Will We See Ethereum Overtake Bitcoin? After the massive increase in the popularity of Bitcoins in last few years several companies have used Blockchain technology to be part of cryptocurrency industry. They have used anonymous software to provide various types of applications and services to their users. Ethereum is one of the latest cryptocurrencies which has gained enormous popularity in a very short span of time. This Ethereum review will help you get a better understanding of the technology. In the world of cryptocurrencies Ethereum is considered as a rising star. It was launched in 2015 and became the second largest cryptocurrency after Bitcoin within 2 years. The market value of this digital currency increased rapidly which made it one of the rivals of Bitcoin. In fact Bitcoin can be used only as a store of value whereas Ethereum is used by other companies to avail a number of benefits while releasing their own cryptocurrencies. Though Ethereum is a distributed public network based on Blockchain technology like Bitcoin still it is very different from the later one in many ways. Ethereum is different in capability and purpose from Bitcoin. Bitcoin provides only one application of Blockchain technology i.e. online transfer of electronic currency from peer to peer where as Ethereum is used as more than a tradable currency. The developers of applications use it not only to pay the fee of transaction but also for using the services of Ethereum network. How Ethereum solved the problem? Being a technical currency Ethereum not only allows online cash transactions between peers but also allows the developers of various applications and cryptocurrencies to use its Blockchain network as a platform to make and execute smart contracts. Smart contracts are written in code uploaded by its creators to the Blockchain platform. Any of the contracts uploaded to the Blockchain platform and run by every node on the network can be executed any time. In this way thee smart contracts cannot be tempered theoretically when stored in the public ledger. These smart contracts are basically designed like a statement answering ifs and then. The terms of these contracts are carried out by the program when particular conditions are fulfilled. The business model of Ethereum is Ethereum Virtual Machine which is a complete Turing software that runs on the network of Ethereum. In fact before the evolution of Ethereum various cryptocurrencies have designed Blockchain applications to perform with very limited operational sets. And for this reason many cryptocurrencies including Bitcoin were developed exclusively to transfer digital currencies between peers only. In such condition the developers of these applications have to face a problem. They can either waste their time in extending the functions offered by various types of applications like Bitcoin, which was a very complicating effort, or develop an entirely new application based on Blockchain technology and a new platform. Vitalik Buterin, the creator of Ethereum has developed Ethereum after recognising this messy situation of the developers. The Ethereum Virtual Machine or EVM is the core innovation of Ethereum which runs as a complete Turing software in its network. By using EVM anyone can run any program even if enough memory and time is given to its programming language or not. The process of creating applications on Blockchain technology has been made much efficient and easier than earlier with the introduction of this virtual machine. Ethereum has enabled the developers to develop thousands of different types of applications by using only one platform instead of developing an entirely new platform while developing every new application. 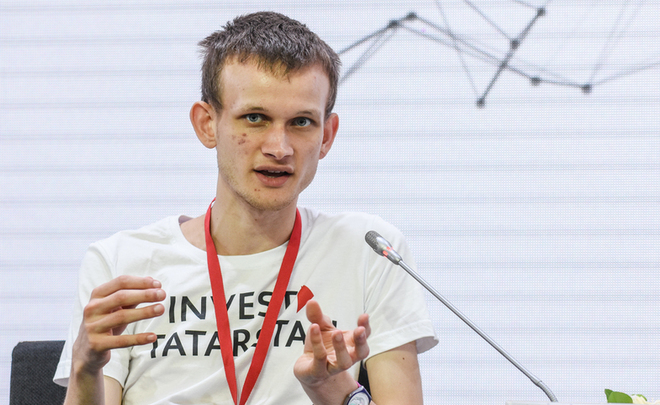 After realising the problems of application developers Vitalik Buterin, a programmer and cryptocurrency researcher, has planned to introduce Ethereum in 2013. He developed this Blockchain platform with the help of funds collected through online crowdsale from July 2014 to August 2014. On 30th July 2015 this new cryptocurrency, Ethereum, was released. Initially less than 12 million coins were pre-mined for the purpose of crowdsale which is almost 13% of the total digital currency in circulation at present. In 2017 the value of the currency of Ethereum increased more than 13,000% than its initial value. We take a look into what makes Stellar stand out from other cryptocurrencies. We discover what problems Stellar is looking to take on and more importantly how it plans on doing so. The blockchain is an industry that has made significant changes in various sectors that promotes efficiency in running various business sectors on a global level. Stellar is one such platform which uses blockchain distributed network, based ledgers, and databases that promotes cross-asset transfers of any value which include transactions and payments. It is a network ecosystem that combines Horizon API and the Stellar Core while the XLM is the cryptocurrency used in facilitating all the operations within the ecosystem. Stellar was developed to facilitate payments between individuals and people as Ripple focusses so much on banks. Steller uses a bottom-up approach, and this ensures even individuals transacting small amount of funds benefit and can access services they need at a lower cost. This means more people will have the opportunity to expand their businesses if they have an easier way of executing transactions. Steller developers and stakeholders found the need of promoting the needs of common individuals by connecting them with banks, payment systems. It is a competitive infrastructure that enables people to acquire services in a simplified way from financial institutions in flexible fiat currency. Stellar offers one amazing feature which operates the same way as a distributed system whereby you can sell and buy different currencies. It also enables conversion of currencies in cross-border transactions making it easy for everyone access the currency they need to go on with their businesses across borders. Stellar ecosystem operates on decentralized servers that host the payment technologies and distributed ledgers that are integrated, automated and updated every 2-5 seconds for efficiency between all the nodes within the network. The ecosystem uses consensus protocol which promotes efficiency and does not only rely on the miner’s network to approve transactions but implements the FBA algorithm that shortens the time span of executing transactions by more than a half. When executing a transaction, the system finds similar nodes known as trustworthy nodes which evaluates a transaction, and if these nodes approve the operations, the transaction is considered approved. This makes Stellar be considered as one of the fastest ecosystems as it can execute more than 1000 transactions within the network in only one second. Stellar is led by a team of experts who have the right skills and knowledge led by Jed McCaleb. He has a team of engineers, developers, the business fraternity who are professionals in the crypto industry. Their team main objective is to ensure everybody who is interested in a broader world of growth and development can make global transactions at the fastest rate and the shortest time possible. Stellar offers much liquidity thus simplifying your operations. Thousands of the three coins are being issued through a 3rd party, but this does not mean you will have to wait for long. This means you will be able to list down all the three coins at the same time and you don’t have to involve a 3rd party. This will allow potential clients discover your listings on time and even make transactions within the same day. As a token issuer, you will be able to customize your wallet for security reasons, protect your confidential data and to imply all the AML regulatory requirements. The performance of stellar ecosystem cannot be compared to any other protocol as you can be able to perform more than a hundred thousand transactions with only one cent thus improving the performance and charges to be very low. This increases the number of transactions and clients that can be served and you can scale up your time. This is a reliable system that you can trust with your funds. Stellar is a very simple and flexible ecosystem platform to use. It takes a short time to create simple tokens and a day or two for the complex tokens. You can be able to use these tokens for all your transactions and avail them for discoverability. The ecosystem supports simple programming thus eliminating the need for hiring smart contract experts as you can do everything by yourself. Stellar was created for the common man and has displayed a huge potential in how peer-to-peer transactions are executed thus making it possible to improve performance at the highest scale at the overall global level. Litecoin Review – The Cheap Mans Bitcoin Or A Better Alternative? Why choose Litecoin over Bitcoin? We take a close look at why using Litecoin can be a better form of payment method over Bitcoin. Also we discover how the creation of Litecoin came about, the developers behind it and the future prospects of the cryptocurrency. Litecoin (LTC) is a cryptocurrency and open source software project enabling instant transactions at near zero-cost payments to any other party in the world. It is often considered as the brother of Bitcoin and was one of the first Altcoins to be forked from the Bitcoin concept. It was launched in October 2011. Since its inception, it has gained prominence as one of the most favored cryptocurrency, next to Bitcoins. Like every other cryptocurrency, Litecoin uses blockchain technology to create the coins. Litecoin is used as a currency to perform transactions between one party to another. What makes Litecoin stand out from any other cryptocurrency? There is a common myth that a Litecoin is an alternative to a Bitcoin with no special features. When Bitcoin emerged way back in 2009, the transfer speed was so low, that each transfer would take about ten minutes to complete. Because of the volume of growth of Bitcoins, the transaction speed has grown larger today, and in extreme cases can take up to 24 hours. Litecoin, on the other hand, has a much lesser transaction time of 2.5 minutes and in the case of network congestion and slow mining times, it might extend to a maximum of 29 minutes. Mining is a process that helps in the production of these cryptocurrencies. Both Bitcoins and Litecoin are created through this method. The process allows the computer processing power to run complex algorithms to build new blocks on the blockchain. But as the Bitcoin rage grew, the miners started identifying the hacks to mine more bitcoins. It was done by enhancing the processing power of the computer and more coins were generated in no time. But with Litecoin, the problem is unlikely. Unlike Bitcoins, Litecoin use an algorithm called scrypt which cannot be hacked to produce more coins and is more secure thereby enabling the steady rise of the coin’s value. The Litecoin tokens are being sought by millions across the world. This ain’t the chip with which you play poker. But these tokens refer to the asset that you own which you could pass to the others. It’s how you exchange value between parties, but digitally. Owning Litecoin tokens could help you transfer payments quickly and instantly. The Coin of the Future? Ever since its inception, Litecoin has been trying to make the cryptocurrencies easy to handle. With the vision, Litecoin has decided to take the game to a whole new level. Last year, Litecoin was the first cryptocurrency, even before the bitcoin to embrace SegWit (Segregated Witness). The SegWit allows the negation of digital signatures in a transaction, which occupies 65% of the space in a transaction. This will have reduce the network from weighing down. Litecoin is also in the process of implementing Lightning network. It is an alternative to the blockchain payment system. The lightning network will not store the transaction on a blockchain, thus enabling faster and instant transactions. Who knows, the currency could be working on a new technology even right now, when I’m writing this Litecoin review. Litecoin was created by Charles Lee, a software engineer working at Google. Born in the Ivory Coast, Charles Lee had a passion for finance but finished his computer science engineering at MIT. He read about the cryptocurrency while reading an article about the Silk Road and decided to create his own coin since the project was open-source. Litecoin was launched by Lee and the world slowly decided to adopt it. Lee gave bonuses to miners and soon Litecoins started emerging. The boost first came when Litecoin was traded on the Silk Road. Soon, one of the world’s largest cryptocurrency exchange Mt. Gox, started trading the currency. The founder of Fedora Linux Project Warren Togami was signed as the lead developer of LiteCoin and also created a non-profit organization to promote advocacy about these coins. Charles Lee, today, works for CoinBase – A digital currency exchange. From its humble beginnings, Litecoin has come a long way. It had no value when it was introduced, but today the value of a Litecoin stands at $168. Not just that, it is also one of the top five cryptocurrencies in the world right now. I hope you take the wise decision of investing in Litecoin after having read my Litecoin review. Go Lite, grow rich. Ripple review – Will Coinbase Introduce Ripple? We take a look at of one of the top cryptocurrencies in the space, Ripple. If the whole consensus of cryptocurrency is to cut out the middle man, the bank, Ripple which is mainly backed up by the banks is there any reason why you should invest? We take a look at what issues Ripple is looking to overcome, how it plans to do so, the future roadmap and the people behind the company. Most people have heard about Ripple as it has been around for several years. It is a blockchain technology that was developed for banks to enable easier transactions and communication between banks around the world. Ripple has made an immense success in creating a platform whereby banks are networked and can execute cross-border payments in real-time. This has made a significant improvement in bank operations hence the ideal presentation of achievements of blockchain industry. Ripple has observed that the current financial networks, bank network, transaction, and payments face stiff challenges and restrictions that lockout many clients perform easy operations. Customers are restricted to credit cards, queuing at banks, PayPal and many other restrictions that come with extra fees, charges, and deductions that disappoint users in many ways. This is where Ripple came in to create an environment that will enable the free flow of money globally to enable growth and development and to ease the way people do their business. Their main goal is to create a decentralized ecosystem which is a digital currency approach that will transform all forms money flow just the same way the internet transformed all forms of communication by promoting a single platform that enables all forms of communication. The operations of Ripple are simple geared by the blockchain technology where it creates a bridge between currency to promote free flow. This is geared by the XRP which is the central currency enabling easy exchange of any global currency. Most of the cross-border payments usually take a longer time to be usually completed 3-5 days because they have to be executed through several intermediaries. Ripple aims to create a mechanism which will enable this type of transactions within 5 – 10 seconds at most. The high number of intermediaries involved in executing transactions increases the fees and charges whereby clients have to pay more. Ripple aims to reduce this cost by more than 60% to encourage global business. The team is comprised of highly skilled individuals including cytographers, engineers, businessmen, developers corporate management and legal professionals who all work tirelessly to oversee that the firm achieves this objective. Led by co-founder CEO Chris Larsen and the CTO Jed McCaleb the firm has made a significant advancement with the help of a qualified and committed members of staff. Ripple aims to promote an easy transfer of cross-border payments within the shortest time possible and become the next big blockchain technology. They have the best legal team that ensures no law is broken and that all jurisdictions are respected. Ripple will provide multiple benefits to users connecting all those who use different form of currencies. The firm promises to provide fast execution of transactions which will be reliable and available anytime. It has a distributed network system meaning that it does not rely on a single firm to manage funds but several secure databases and network that ensure easy completion of transactions. Ripple transactions do not wait for confirmations from all the intermediaries involved, but all transactions are independent and will be executed promptly. Why choose to use Ripple? Ripple does charge transaction charges like other bank institutions, intermediaries, and partners but it will charge only once hence encouraging users by providing a reliable means. Ripple wishes to create around 100 Billion Ripples whereby a half will be released to circulate and the company to retain the other half as the base. Partnering with financial institutions will instantly reduce the overall transactions fee and overhead cost thus increasing the profits to all parties and clients gaining trust in the financial industry. As you have observed, Ripple coming with such a brilliant idea will promote development and growth at a higher rate as individuals will be able to perform fast transactions and continue with businesses without delays. The firm ensures blockchain drives their objectives till they achieve a reliable mode of funds transfer that will help millions of customers. The firm has managed to secure the best stance in the cryptocurrency industry. Their impressive team has done a massive job in partnering with corporations to make sure this becomes a reality. Therefore, this has assured that Ripple is the right partner whom you can trust with your funds. Bitcoin Cash Review – Why Choose Bitcoin Cash over Bitcoin? Here we take a look at how Bitcoin Cash originated and why it came about. Also discover the advantages of Bitcoin Cash over Bitcoin which make it a cheaper and faster way to carry out transactions. Bitcoin Cash refers to peer-to-peer electronic cash for the internet. Just like other cryptocurrencies, it’s fully decentralized hence does not require any third party or central bank to operate. The main motivation of Bitcoin cash existence is to carry out more transactions. Just two months after its launch, it has increasingly become a very popular cryptocurrency with active trading in many major exchanges. Since its launch, it has become famous for its reliable confirmations and low fees which were difficult in the original Bitcoin network. What problem does Bitcoin Cash Address? When Bitcoin was originally created in 2008, the Block Size was only 1 MB. This means only 2000 transactions could be done within 15 minutes. However, when it started gaining popularity more and more transactions started coming, which means that the 2-3 transactions per second were now very slow. One of the main solutions for this problem was to make the block sizes twice the size or 2 MB. However, the community never managed to do that hence those who supported 2 MB created a new coin known as Bitcoin Cash. When it comes to Blockchain, Bitcoin is not able to just update the software and make the Sizes bigger. It, therefore, needed to develop a new Blockchain. This led to the creation of Bitcoin Cash. As compared to the current Bitcoin fees, Bitcoin Cash fees is far much less. So basically Bitcoin cash was meant to allow more transactions to happen in the block thereby making the network not to clog and ensuring that the fees remain low. · Transactions are fast and completed within seconds. · The Bitcoin Cash network operates without any congestion hence it’s very reliable. · It has low fees hence can send money globally cheaper. · Regardless of your level of experience, it’s very easy to use. · As compared to other payment systems, it’s very stable. · It depends on Bitcoin blockchain which is one of the world’s most secure blockchain technology. Just recently, Bitcoin ABC customer development team announced its medium-term plans for the future.According to the developers, this proposal is one of their goals for the next 6 to 12 months. Their ultimate goal is to improve the network and the Bitcoin Cash as currency. This involves improving its scalability, reliability, and reducing commissions. It should, therefore, be ready for mass distribution as soon as possible. In the next 6 to 12 months, it also plans to achieve goals that are aimed at improving the capabilities of the network. The future updates and design capabilities of BCH include boosting the blockchain. It’s also planning to cancel the order consensus and implement the transaction order. Overall, Bitcoin Cash is seriously focused on increasing the user confidence. This means they have an opportunity to implement it. If payments are reduced and the speed of transaction boosted, it’s liked to become more attractive than the original Bitcoin. Unlike the previous situation in Bitcoin, there is no single development team found in Bitcoin Cash. Instead, there is multiple independent teams of developers. This decentralization of software implementations and decentralization of development is not only much needed but also a very important step. The first implementation of Bitcoin protocol was revealed by Armoury. Later on, Bitcoin Unlimited made its first release of Bitcoin known as BUCash. After the launch, it inherited the transaction history of the Bitcoin cryptocurrency. However, later transactions were separate. With the kind of development that they have created and the projects that they’ve worked on, you can actually trust them and invest your money with them. If you held Bitcoin as a block of 478558 then you are also a proud owner of Bitcoin Cash. The main aim of Bitcoin Cash is to promote the currency in a welcoming and user-friendly way. However, In the past Bitcoin Cash has been accused of hostility including aggression towards the BTC main development team. Overall, Bitcoin Cash is not going anywhere very soon. More so, its 8 MB block is a very attractive feature. It only remains to be seen how this will affect the miners in future. But can BCH affect BTC and become the main chain? These are only speculation’s but something for sure is that the future of Bitcoin Cash is very interesting. Today we’re taking a closer look at the NEO cryptocurrency coin to learn more about it and see whether it’s worth investing in. Is NEO really the “Chinese Ethereum” as some people claim, or is it a coin you need to avoid? Let’s take a closer look and learn more in our review of NEO. With the cryptocurrency sweeping the world by storm, many people are investing in the digital currency to get huge gains. Among the different currencies available, NEO is intriguing people. So, what is NEO? NEO is a Greek God symbolizing the youth and newness. It is the smart economy platform that can suit the next generation. It started its journey as Antshares in 2014. But, with a monumental rise to fame, people became interested in the digital currency that is also known as Chinese Ethereum. It is a community-based blockchain project with non-profit intentions that uses the digital identity along with blockchain technology for automated digital assets management. With Neo, investors get an additional feature known as Digital Identity that makes it different from the rest. The business or individuals operating on the Neo Platform have a unique digital Identity that makes it easy to identify them. Transactions between individuals or companies can take place only with the digital identity making Neo platform regulatory compliant. DBFT Algorithm (Delegated Byzantine Fault Tolerance) – Instead of a traditional proof of work, the consensus mechanism allows maintaining consensus by resisting the Byzantine Generals problem. So, it can maintain consensus even with some of the nodes projecting malicious intentions. NeoX – It offers the ability to operate and execute across various blockchains. NEO Contract – It will assist in creating seamless smart contracts in a high performing environment that is scalable. Using languages like C#, VB.Net, Java, etc. it allows integration of pre-existing codebases. NeoFS – It allows decentralized storage. NeoQ – The cryptographic mechanism has the ability to create quantum-proof problems is not easy to solve even by quantum computers. As NEO has a proof of stake model, it has 100% pre-mine that offers the users an opportunity to get additional coins by holding it in a wallet. The alternate token of NEO is known as GAS that users can implement in deploying and running smart contracts. 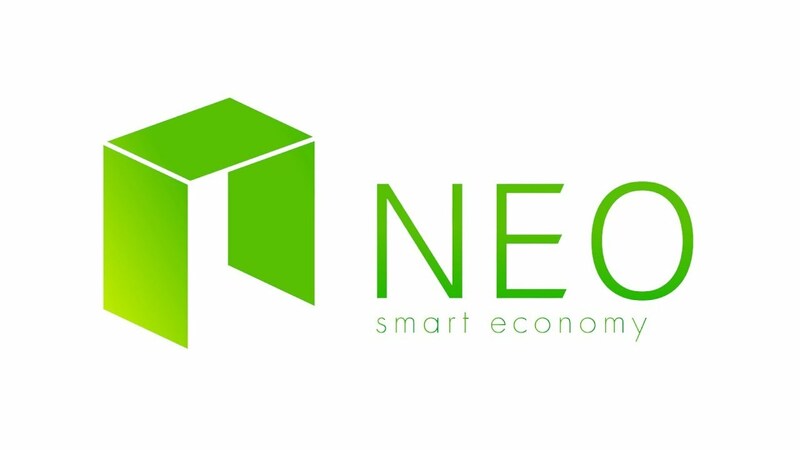 The crowdfunding will distribute the NEO coins that interested people can invest. As no mining is involved, it centralizes the distribution process. The NEO has two batches, 50 million sold via crowdfunding and NEO council manages the other 50 million. The number of blockchain-based systems is growing at a fast rate in the public and private domains. So, NEO can utilize this trend as it has another technology known as Onchain that offers blockchain solution to private clients. In future, the need to have interoperability among various blockchain will arise that will give NEO and Onchain a chance to conquer the market. In 2014, the developers of NEO created an independent technology, Onchain that offers enterprise-level blockchain solutions. While NEO works like other digital currencies (like Bitcoin, Ethereum, etc. ), Onchain creates private blockchain that meet the precise industry needs. The Distribute Networks Architecture (DNA) is the major project of Onchain that uses the digital assets to create public and private blockchain that will aid the business. It is customized to address the diverse problems in the private and public business sectors. The NEO blockchain offers the digital identity that is necessary to enable the trust, identity, and interoperability. NEO and Onchain will offer a middle path between regulated economies like the banks and decentralized, anonymous blockchain like bitcoin. The cryptocurrency was founded by Da HongFei and Erik Zhang (co-founder) in 2013. NEO Founder Da HongFei is the Chief Executive Officer of Onchain and Chinese Blockchain industry’s Key Opinion Leader. While Erik Zhang is the core developer and Cofounder of NEO. He is the DBFT consensus mechanism’s author. With the immense experience and visionary ideas, they have the potential to take the blockchain to the next level. As the two common founders of Neo and Onchain, have the potential to achieve cross-chain interoperability. The innovative mechanism developed will help easy sharing of necessary information between the various blockchain connections. The overall positive NEO review is the sign for the users to invest in the currency that can change the face of digital transactions. Welcome to The Token Investor! The Token Investor is you’re “go to” blog for learning about upcoming ICO’s and other news in the amazing world of cryptocurrency. I’m a regular person who believes in cryptocurrency as the future and I’m an investor into various ICO’s and projects that I believe can work. I set up The Token Investor to share my honest opinion and reviews on new ICO’s, plus to share how I make money with Bitcoin & crypto! CyberMiles Review – Good ICO or Scam? Nuggets ICO Review – Scam or Legit Coin? Fund Request Review – Good Coin or Scam ICO? Trak Invest Review – Scam ICO or Legit Coin? Storiqa Review – Legit or Scam Coin? Stack Review – Good ICO or Scam Coin? Qlink Review – Good ICO or Scam Coin? Bankera ICO Review – Legit Coin or Scam? Eristica ICO Review – Scam or Legit? Ref Token Review – Good ICO or Scam? WEMARK Review – A Blockchain-based Marketplace for Digital Content – Legit or Scam? TV-TWO Review – The Decentralized TV Ecosystem – Scam Or Legit? Commerce Block Review – Good ICO or Scam? Delicia Cryptocurrency Review – Legit Or Possible Scam? Qurrex Review – The First Hybrid Crypto Exchange – Legit or Scam? CryptoFlix Review – Everything You Need To Know – Legit or Scam? iShook Review – Legit Project or Scam?